Some float on the walls. 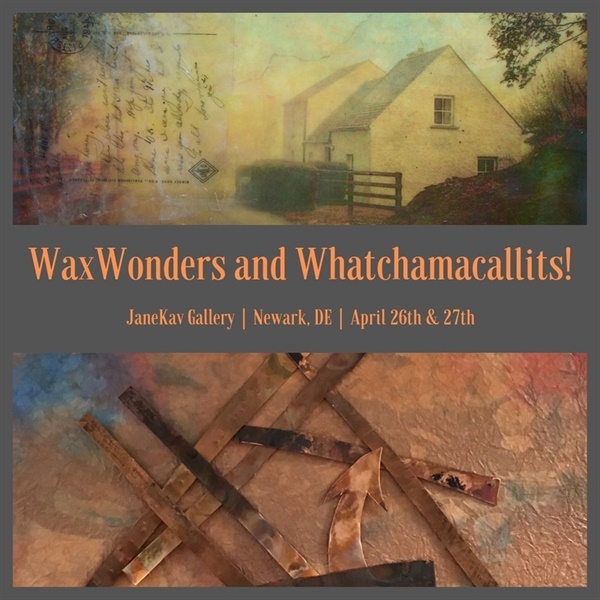 JaneKav Gallery is pleased to announce an exhibition of new mixed media works from local artists Jane Kavanagh Morton and Nancy Kavanagh O’Neill to be displayed at JaneKav Gallery, 625 Barksdale Road, Barksdale Professional Building, Suite 103, Newark, Delaware 19711. The artists welcome the public to opening receptions on Friday, April 26th from 5-8pm and Saturday, April 27th from 11-3pm. Join us for a celebration of Spring! The show will continue through May 31st. Gallery hours Monday through Thursday 9 am to 1 pm and by appointment.